Earlier this spring, the Institute for Local Self-Reliance released its 2018 Community Power State Scorecard, revealing the the best and worst states for local clean energy across the country. Did many states improve on their 2017 score? The latest rankings used a very similar methodology to last year’s interactive Community Power Map, notably increasing the points awarded for a state’s community or shared renewable program and adding (or subtracting) points for the ease (or difficulty) of connecting to the grid under the state’s rules. To better understand how this landscape has changed from one year to the next, we took a closer look at the past two years of Community Power scorecard results, finding that states fall into three categories: consistent leaders, most improved, and room for improvement. In both 2017 and 2018, five states were consistently ranked at the top of the pack for having policies amenable to community power: Massachusetts, New York, California, Illinois, and New Jersey. 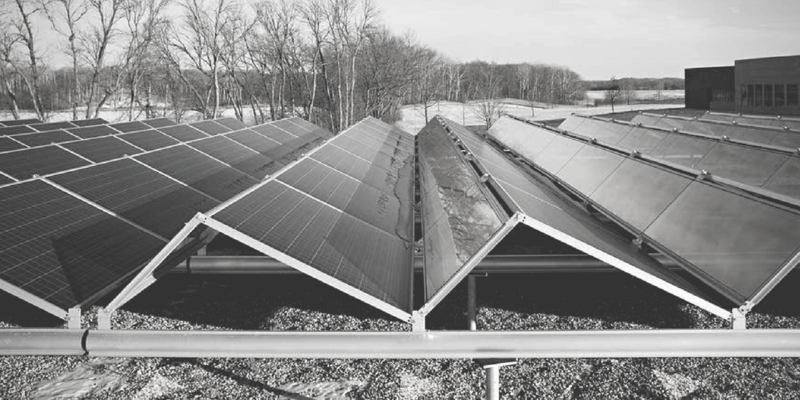 Policies in these states that range from net metering and simplified interconnection to encourage distributed energy resources like solar, to programs that support shared/community renewable energy or that allow communities to provide financing to commercial properties with property assessed clean energy (or PACE) programs. A recent analysis of the state of distributed solar across the U.S. reveals the positive impact these states’ policies can have on small scale, distributed power generation: New York, Mass., and New Jersey, all claim the top spots for the amount of their solar energy coming from distributed sources. Fortunately, the handful of leading states were not the only ones to see both improvements in their scores and strengthened support for community power, particularly as important policies including shared renewable energy and community solar programs took hold in other parts of the country. Overall, scores improved in 26 states and the District of Columbia. 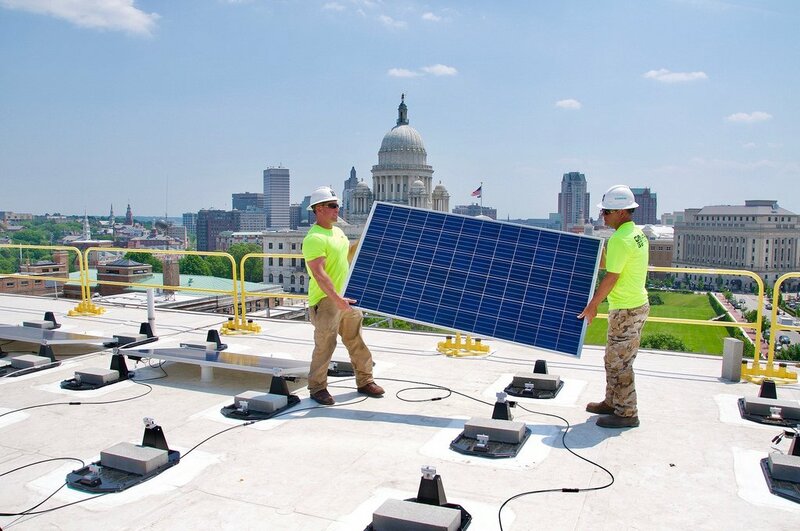 In Washington, D.C., the nation’s capital saw the largest overall bump in its score by seven raw points, attributable to the city’s unique Affordable Solar and newly launched community solar programs. Following D.C., Virginia and Hawaii also improved substantially by five points, thanks to new community solar programs. North Carolina, which also improved in the latest rankings, benefitted from improvements in the state’s interconnection rules and an extension of PACE programs. Time will tell whether these and other states’ scores continue to improve. Scores either stayed the same or dipped in a total of 24 states, indicating places where policies to support local community power have stalled, perhaps given existing biases to utility-scale electricity generation, or where policies enabling smaller, distributed systems are even under attack. In particular, several states have consistently found themselves near the bottom of the ranking, as the table below demonstrates. While many of these states’ distributed solar markets remain underdeveloped due to poor policy support, in some states such as Idaho or Texas, policies appear to have more readily enabled utility-scale renewable generation than smaller, distributed solar. It is important to note that some states that saw reductions in their total scores in 2018 may be places less amenable to grid interconnection, as such states were docked points in the latest scorecard, drawing on data from the Interstate Renewable Energy Council’s Freeing the Grid report that were incorporated into this year’s methodology. Yet, a sizable number of states still have plenty of room for improvement, when it comes to supporting policies that enable local, community energy deployment. *Note: Our 2017 Scorecard relied on a total of 33 possible points, while 2018 allowed for a total of 36 points, where new criteria and scores were added for interconnection (that is, states gained or lost additional points depending on their grid rules) and shared renewable policies. While year-to-year rankings reveal a lot of important information on their own, digging into how scores have changed from one year to the next paints an even more dynamic picture of where states are headed, when it comes to helping or hindering local energy action. As such, we’ll be tracking this Community Power Scorecard in future years, updating these comparisons to assess trends and reveal which states are clearly on the right track when it comes to policies that enable local, community power—and which states need to improve. For an interactive map to explore state-by-state policies and other conditions that support local power, be sure to take a closer look at ILSR’s Community Power Map.